In fishing parlance agrimony – the name is abbreviated, in fact it is the larva burdock moth. However, the larvae are not quite moths, and very like her little beige butterfly fluttering over a Thistle or Chernobyl. The larvae are of two types, which differ significantly from each other. Larvae can hide in the furry sensation of the plant burdock. But often it is not those larvae that we are accustomed to call the brambles. Larvae in the knobs across more oblong, not like the store, on their body, there are transverse bands, and most importantly, they have a head. In principle, the larvae found in the thistles, similar to the larva of the may beetle, but in a reduced form. 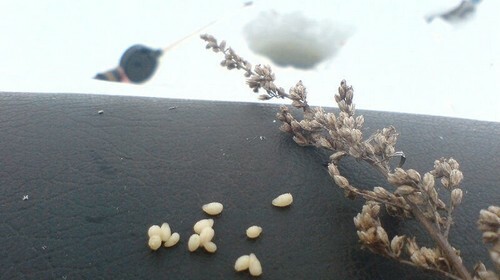 Burs overwinter in the “houses” of glued seeds. They are glued very tightly, even the nails are doing this cover reveal. When squeezing the bumps, they can easily be felt. Larvae in the knobs of burdock burdock is very common and easily mined. Fishing anglers have, they are not very popular, because, first, in the harvesting of fibers for cones, getting to the body quickly cause unpleasant itching. Second, larvae of the burdock worse stored retrieved from “houses”, they die very quickly. On the hook they are also not durable – after piercing immediately spread. However, in the modern era, they still are quite acceptable. Much more likely to have a thing to have with another kind of bait a Thistle. The bait mass harvest and sell in fishing stores. Maggots are rounded and are yellowish in colour, with a tiny black head. They are inactive. In the literature indicate that the larvae mostly lives in the stems of burdock (burdock) and is also found in the stems and seeds of the Thistle, thistles and other herbaceous plants tolstosheina. Anglers mined, mainly the larvae of the mugwort or otherwise of mugwort. For harvesting collect the stalks, cut them lengthwise and take out the larvae from cavities, or simply shake. This process is very time-consuming, so many anglers prefer thistles to buy in the store. However, anglers-the creators of this lesson, you will be able to bring a lot of pleasure.